The holidays are about to be here and gone again, and chances are you’re already looking forward to an enchanting New Year's Eve. New Year's is celebrated as a time to reflect on all the epic adventures we experienced and accomplishments we made over the past year, and plan ahead for even more in the next. In short, the resolutions are coming. Yes, it’s true that resolutions aren’t always taken seriously, but the inspiration to change – while not always easy – can come from anywhere, especially our beloved festivals and festival culture. We came up with ten New Year's resolutions inspired by the festivals and the festival all-stars that made this year so damn good. Do you need a more appropriate set of threads to show off your style and flair at next year's festivals? 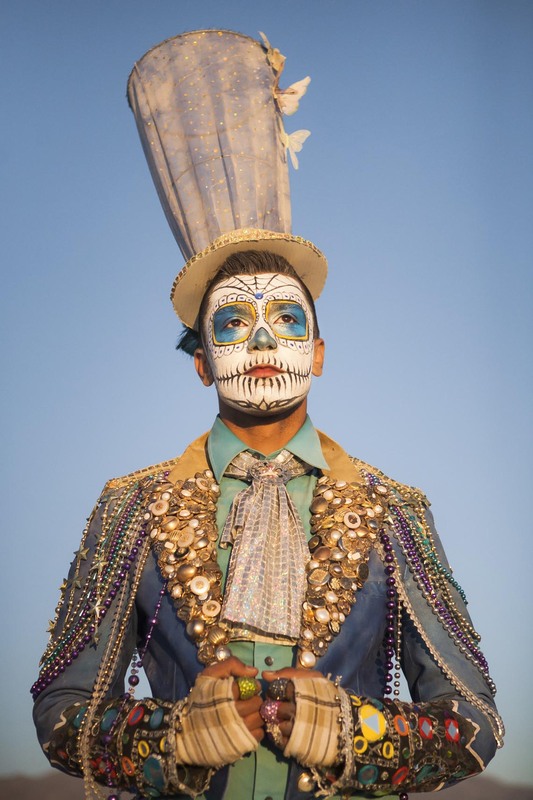 Maybe it’s time to up your outfit game with some shopping or by adding a little extra customization to your costume. Take a tip from makeup artist extraordinaire Suliman Nawid and recognize that you are the canvas and that life can be so full of color. Are you feeling restless? Take a look at our festival map to locate festivals all over the world. Check out Tomorrowland in the grassy meadows of Belgium, see awe-inspiring ice sculptures in China at Harbin Ice & Snow Sculpture Festival, or explore the wonders of Australia at Rainbow Serpent Festival. Adventure calls. Life is short! Whether for movement and fitness, or for tranquility and inner peace, these performance arts are all becoming increasingly popular. Each has several techniques that can be studied deeply, and they all teach patience, wellness and concentration. You can even take up surfing at Genius Loci in Mexico. For those who get stressed grinding out the dollars from a desk job these are highly recommended ways to unwind, whether at a festival or not. Believing in the power of art and actually making it are two very different things. 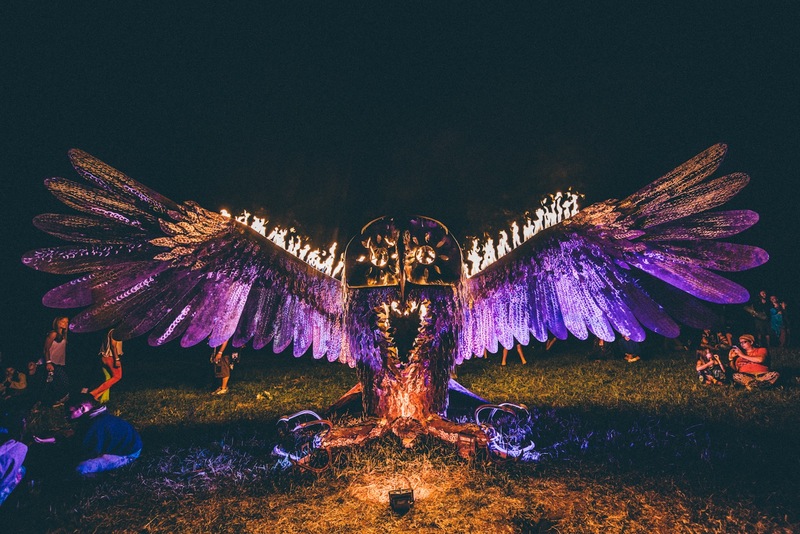 Some festivals really push the creative envelope, which got us thinking about all the fun, festie art projects to come. If you’ve got a bunch of tools in the garage gathering dust, shake them off and create something to share. Participate in a big art project at Burning Man or apply to create an art installation or live paint at ARISE Music Festival. You can even build a whimsical derby car to race in Lightning in a Bottle's annual Soap Box Derby! Permaculture is a way of reclaiming our food supply and reconnecting with the earth – and it's all the rage in the festival world. Urban gardening is not only therapeutic, it’s also (mostly) free, healthy and it can connect you community-building projects. It may take a little work to get it right, but this is a resolution where the fruits of your labor can frequently be enjoyed, literally. Unless you’re endowed with happy feet or were raised on a dance floor, you’ve probably had a few times when you wished you could effortlessly cut a rug at the drop of a hat. It can take a while to get your moves on lock, but whether it’s the shuffle, the two-step or the tango that sparks your interest, this resolution comes with all sorts of other benefits that will keep you feeling and looking great. Whether you want to create incredible, painted-with-light portraits for the festival community like Reid Godshaw of Harmonic Light, or you want to build an app to help the community “festival better” like Tucker Gumber did with FestEvo, now is the time to bring those dreams to life. It’s the motivation to pursue our goals that often inspires others to chase hopes of their own. In other words, the dreamers who become doers will prove the power of fest-initiated transformation. Are you ready to get serious about survival? 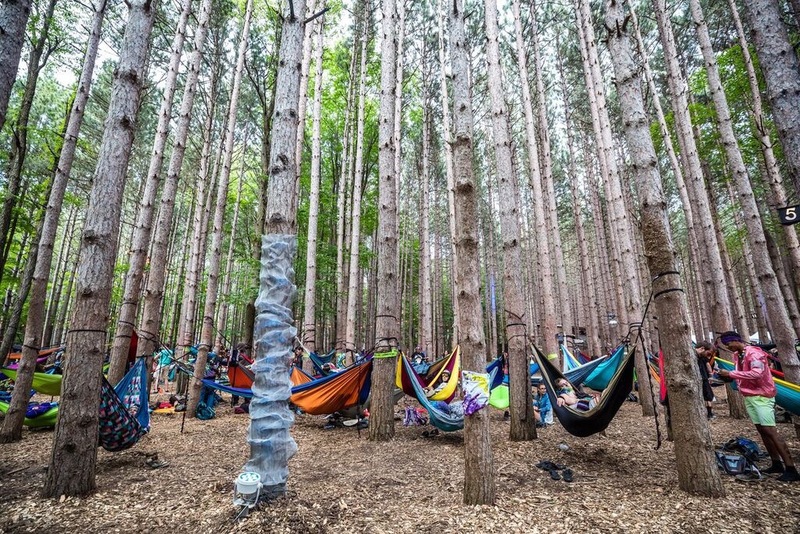 Maybe it’s time to level up your fest gear with a new tent or a cozy hammock. Looking to conserve space while packing? Downsize to a Jetboil instead of a grill. Just hoping to be better prepared for the next one? If you're a relatively experienced festie, you already know being prepared is its own reward. Or if you’re headed to Burning Man, stock up on stakes and duct tape or pick up some paracord so that the next time a whiteout pushes through camp, you’re ready. If being healthy isn’t reward enough alone, the energy influx you'll have from your newfound well-being should be an extra bonus the next time you find yourself scrambling from one stage to the next – or simply raging for a whopping ten days in the tropics at Universo Paralello in Brazil. Or maybe you want to fulfill a lifelong dream of running with the bulls at the Fiesta de San Fermin – you've got to be in shape for that. In other words, if you take the time to fine-tune your health it may help you discover that you can rage harder through the night with a little extra muscle. Nothing quite screams “adventurous” like jumping out of a plane. Some folks get a birds' eye view at Burning Man by arriving this way. In addition to being one way to beat the traffic and the lines, it’s also an exhilarating rush. For those with a fear of heights, skydiving serves as a confidence-inspiring remedy too. Imagine: Anytime you’re worried about whether you’ve got the gusto to overcome a challenge, you could simply reflect on the time you surrendered to gravity and emerged intact. That ought to be a reminder that you can make it through anything.